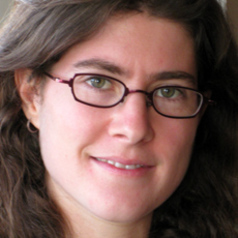 Hadas Kress-Gazit joined the Cornell MAE faculty in 2009. Before that, she was a research scientist at GRASP lab at the University of Pennsylvania where she developed methods to create robot controllers that are guaranteed to satisfy high level tasks. Her interests include: Robotics, Motion Planning, Task Planning, Model Checking, Verification, Hybrid Systems, Language for Robotics, and Human Robot Interaction.